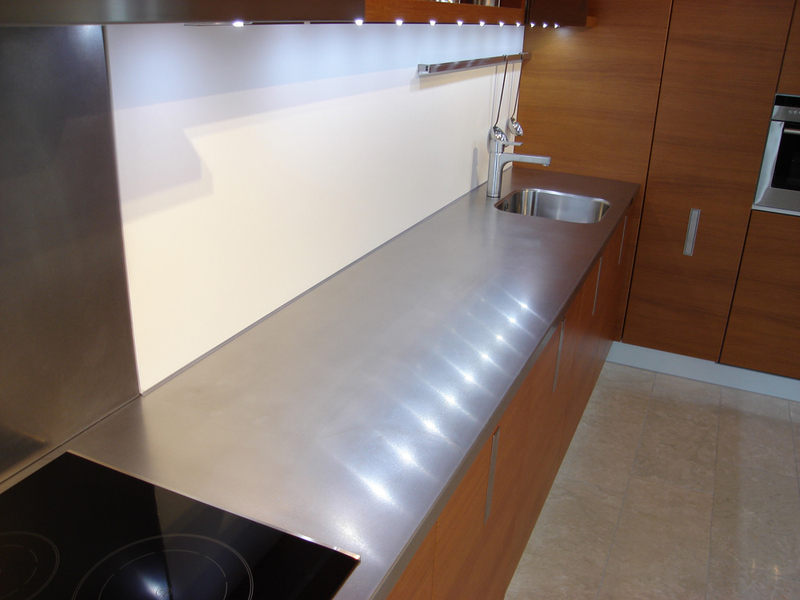 Stainless steel panels can be produced with a thickness of 10, 16, or 19 mm. 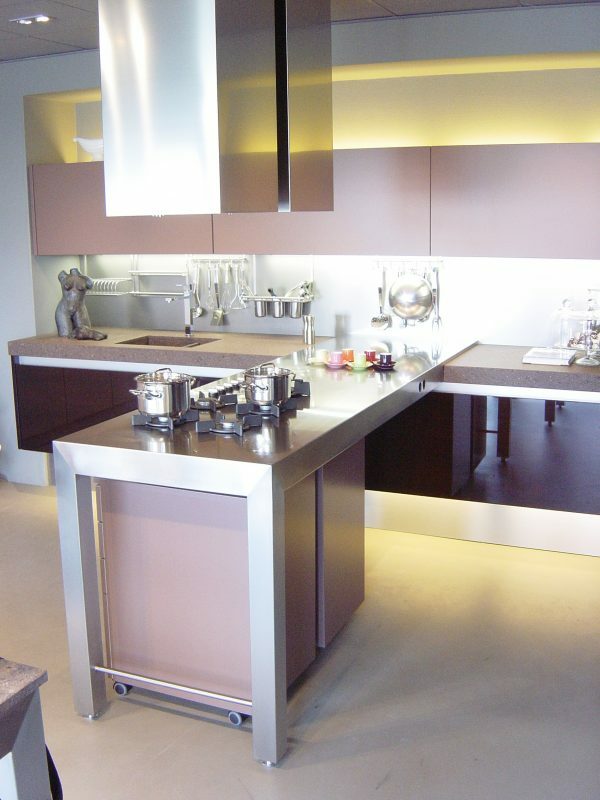 You have the option to have the corners of the stainless steel panels welded shut and polished. The panels can be produced in various thickness. Front panels of doors and drawers are provided standard in a thickness of 19 mm, on a glued backing of 18-mm thick MDF. 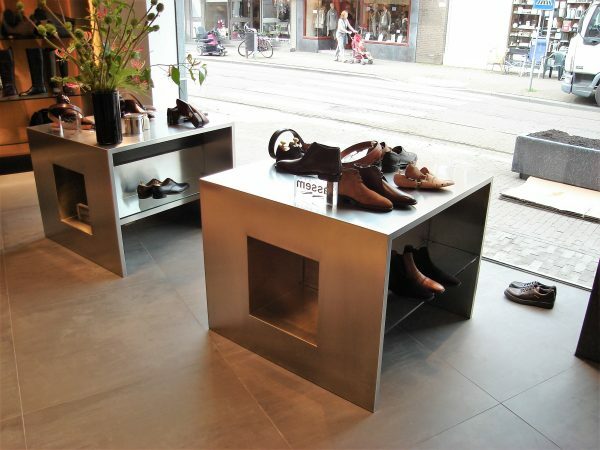 The stainless steel back panels and stainless steel panels have a backing of 9-mm or 18-mm waterproof MDF. 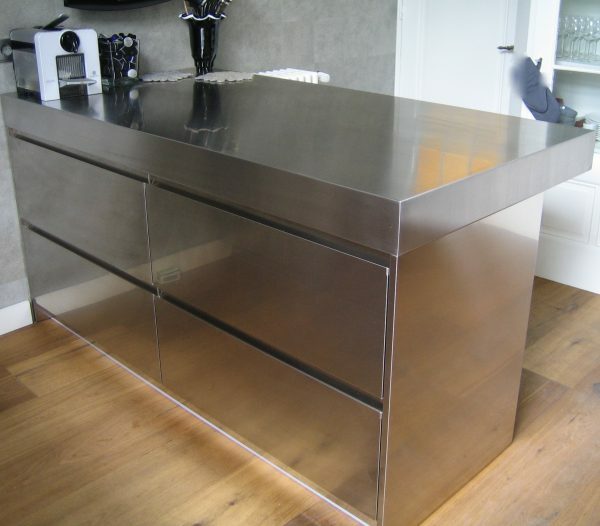 Standard stainless steel back panels are not welded and polished and the MDF is supplied along separately. This can be used as a wall cover; as a fitting piece or a decoration.